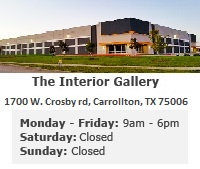 We offer a wide variety of unique furniture and unique wall decor for the home, game room, restaurant, commercial space, themed event, and more. Among our selection of unique furniture and decor you will find fun kid's furniture pieces, highly decorative wall masks, apple chairs with cushioned seating, egg chairs with cushioned seating, lady leg lamps and bar stools, a variety of unique side tables, and more! They are sure to add fun, excitement, and conversation to any space. These unique furniture pieces and decor items are made from durable materials using cast resin mold mixed with fiberglass and hand painted to the highest detail by professional artisans whose skills have been passed down to them for generations. All decor and furniture pieces are set at factory direct prices to bring you the best deal out there, so be fun and creative when shopping for unique wall decor and fun furniture.